Recently, a strong earthquake shook Japan and, in addition to widespread harm, damaged the world�s biggest nuclear power plant in that country, thus causing a grave danger. The spread of radioactive materials, in the immediate environment of that facility as well as throughout the region, with long-term negative consequences, has raised serious concern among the people and the government of Japan and in neighboring countries. This event sends a sharp warning to the people of Iran: if, a country like Japan equipped with the most advanced industrial technology and management know-how in general and in the nuclear domain in particular, encounters such unpredictable natural disasters with the kind of consequences we all witness, it goes without saying that a country like Iran, located on some of the most active seismic faults, obsolete technology and weak management, if faced with a devastating earthquake, the results would be far more catastrophic for our people, our country and the region as what we have seen in Japan. This event also sends a sharp warning to the Iranian scientific and expert community in the sense that the Islamic government�s populist and erroneous policies and nuclear trafficking through occult international smuggling networks aimed at precipitously assembling an obsolete set of secondhand nuclear facilities, put our country and our nation on a crash course at the end of which there will be nothing but sorrow and irreversible damage and destruction. No political system, no national government, puts its own nation and country in front of such irremediable dangers. In this matter as well as in others, the Islamic regime and its top-ranking officials will be held accountable in front of the people of Iran. TOKYO, Japan, July 24, 2007 (ENS) - Japan will establish an independent committee to investigate leaks of radioactive water, flooding, fire and electrical problems at the world's largest nuclear power plant that was damaged by a strong earthquake July 16, the government said today. The Tokyo Electic Power Company's Kashiwazaki-Kariwa nuclear power plant in Niigata prefecture was shut down after the 6.8 magnitude quake caused a leak of low-level radioactive water. Today, three of the plant's seven units are operating and one is starting up, the company said. Minister of Economy, Trade and Industry Akira Amari said only that the panel will begin its investigations as soon as possible. The panel is likely to submit its report to the UN's International Atomic Energy Agency, IAEA, at its annual conference in Vienna in September. Japan now says it will allow IAEA investigators to inspect the nuclear plant, after an offer of assistance last week from IAEA head Dr. Mohamed ElBaradei. The government of Shinzo Abe had rejected help from the UN agency, but was persuaded by a petition from local officials eager for more information. The IAEA said last week that preliminary data indicates that the earthquake "may have exceeded the seismic design assumptions for the plant." "The agency believes a thorough investigation of the impact of the earthquake on the plant and full transparency in such investigations is required," the IAEA said. The Tokyo Electic Power Company confirmed today that 2,000 tons of water flooded the basement of the building that houses the facility's No. 1 reactor. The water escaped from damaged fire protection system piping in Unit 1, the company said, but it was not radioactive. The leak had been announced in the days following the quake, and today company spokesman Kiyoto Ishikawa said the flooding posed no environmental hazards. It now appears that the earthquake also shook a storage pool containing about 2,300 kiloliters of water and spent nuclear fuel on the fourth floor of the No. 6 reactor building, TEPCO said. The radioactive water spilled through a small hole where electric cables run through for equipment used to transport spent fuel, TEPCO said. Usually, insulation material fills the spaces between the hole and the cables, but the packing material evidently came loose during the quake, allowing the water to flow along the cables and then into an air conditioning duct before entering drainage ditches that lead to the Sea of Japan, TEPCO said. The floor where the storage pool is located is in a restricted radiation zone, but the floors into which the water flowed are outside the restricted zone, the utility said. An estimated 1.2 cubic meters of radioactive water flowed into the sea, but the company said it is still not certain about the total amount of water that flowed from the pool. TEPCO says that during the incident, radioactive material was twice vented into the air. TEPCO has started on repairs of minor damage at the plant, and the company will soon prepare a plan for the detailed check of safety-significant equipment such as the reactor internals, said the Nuclear and Industrial Safety Agency. A detailed inspection of the reactors will be conducted based on that plan. Minister Amari acknowledged today that the government failed to carefully examine fault lines near nuclear power plants, and said a stricter review system is needed, the Kyodo news agency reported. The 6.8 magnitude earthquake that claimed 11 lives was located in the city of Kashiwazaki and the village of Kariwa along the Sea of Japan coast. With a combined power output capacity of more than 8,200 megawatts, the Kashiwazaki-Kariwa nuclear power plant is the world largest. The quake's epicenter was just 16 kilometers, 10 miles, away from the plant. 3)	Due to the fact that Iran has vast reserve of natural Gas for over 200 years and creating electric power from natural Gas is at least 20 times cheaper for Iran than Nuclear Power and it is one of the safest way to generate electricity therefore Iran does not need any nuclear power plant. 4)	Spending over 20 billion dollars of Iranian People�s money for nuclear adventures while high percentage of Iranian people under poverty line without getting permission from Iranian people. 5)	Lying to International community regarding Regime nuclear adventures. As a nuclearr engineer with expertise in nuclear reactor Probabilistic Risk Assessment (PRA), reliability and system safety, I concur with your warning concerning consequences of various accidents within any of the Islamic regime's nuclear facilities. Even without any accidents, I doubt it if the regime has imposed any safeguards for radiation workers or people around nuclear facilities. The reason is that I did research on conferences and papers written in the field of PRA and nuclear safety in Iran. I was unable to even find one paper or research with regards to these concerns. This regime has no respect for human life especially Iranian life, Iranian natural resources or environment. Last year the regime cut down 10,000 trees around Lavizan facilities. Reports out of Iran indicated that the entire area was severely contaminated and the regime had to cut down trees and remove top soil in order to hide this leak from the IAEA. One other note to complement your warning; great majority (if not all) of the equipment, from centrifuges to valves, pumps, etc. are purchased from Pakistan, India, China, N. Korea and at best from Russia. All these countries especially Russians are notorious with unreliable, high maintenance equipment (examples: Russian side of International Space Station, Chinese and Korean missiles, etc.). With the Islamic Republic regime's track record on maintaining Iranian passenger planes, these nuclear facilities are ticking time bombs. I recently wrote an article (attached) which was forwarded to your e-mail as well. In this article I specifically address your concern. Thank you again for this important warning. May God bless our beloved motherland. 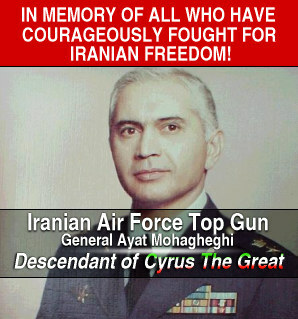 Who is Mr. Massoud Azizi? Aerospace company in Southern California. My expertise is in terrestrial and space nuclear power systems safety and probabilistic risk assessment. My education includes Bachelors degree in Civil/Structural Engineering and Masters Degree in Nuclear Engineering, both from the US universities. I have lived in the US for the past 33 years and visited Iran twice before the revolution. موج هــای سرکــوب و کشتـار سیاســی و مزاحمت هـای مختلـــف "رژیـــم جمهــوری اسلامی" موجب شده است که عده ای از هموطنان کُرد برای نشان دادن اعتـراض عمومـــی و بحق مردم به اینهمه ظلم و تعدی مسئولان رژیم دست به یک اعتصاب غذای سه روزه بزنند. این ظلــم و تعـدی و سرکوب مــداوم فقــط به مــردم کردستــان منحصــرنیست. هموطنــان ما در سراسرکشور و در تمام استانهــا، از بی قانونی هــا، تبعیــض ها، حق کشی ها، زندانی شدن ها و زجــرو شکنجه هایی که مسئــولان رژیم نسبت به آحــاد ملت روا میدارنـــد، به تنـــگ آمده و خواستار تغییر این وضع نابسامان و بی قانونی و زورگویی مطلق شده اند. انتظار و امید دارم که هموطنــان مــا در سراسرکشــور بهر طریق ممکــن و بهر وسیلــه ای که در اختیار دارند همبستگی و اتحاد و همدردی خود را با مبارزان غیور کردستان و سایرمبارزان راه آزادی در سراسرکشور ابراز داشته و روزبروز یگانگی و اتحاد و همآهنگی خـود را وسیع تر و محکم ترسازنـــد تا سرانجام بتوانیـم با یک جنبش بـزرگ و فراگیــر ملی بــه اینهمه ظلم و بیـداد و بی قانونی خاتمه دهیم تــا ملت بـــزرگ ایران بتوانند در پناه قانــون در صلــح و صفا و آرامش و رفاه به زندگی خود ادامه دهند. P.O. Box 341907, Bethesda, MD. 20827, U.S.A.
Well, Reza sure hit the nail on the head with that. Greetings! I represent an internationally subsidized risk minimalization program otherwise commonly known as the Global Nuclear Free Zone Initiative, and we cordially invite you to help us save planet Earth for future generation's enjoyment. Humanity is in a dillema...Too many pissed off preachers and too many nukes= questionable future of life on Earth...all life. However, an elegant solution has recently been found to resolve this grave and pressing issue. You'll be joined by your fellow pissed off preachers across the globe. And obviosly those not pissed off will not be invited to travel. You are among a select group. Congratulations! Seating for 5 or more can be arranged ( with additional rolls of duck tape to strap your party to the launch vehicle securely. No in flight movies available at this time, sorry. But you'll have an excellent view of Earth as you are shot into space, and you'll get a real good suntan upon arival on the surface of Sol. Scenic flybys of Venus and Mercury en rout. Unfortunately no food service is available in flight at this time, so pack a lunch. Your travel to point of departure will also be provided free of charge via Company chartered rendition flight non-stop from anywhere the hole you crawled out of is located. Opon anticipated approval by all concerned nations, you will be notified of launch windows and picked up by the air rendition Company staff. Please do be courteous to your flight attendants, as an large electric Tazer charge may be applicable unto you for thorozine coctails and extra duck tape to wrap your yap down tight if your eminent pissed-offness causes disturbance en rout to launch area. I believe if we "86" all you Pissed off Preachers slap off the planet Earth, humanity won't need worry about "End Times". Curious minds want to know if you'll do a small service for mankind. See, my friends and I are about to table a proposal to every UN Ambassador on Earth, and remind them of their "Responsibility to Protect" humanity at large. So please reply as soon as possible, so we can include you on the flight list to oblivion. That is to say...your presence has been requested. Glad I am to be able to offer you this once in a lifetime offer to help save the planet. Based on the following facts , in order to avoid new War the Iranian people have only one choice left for them to change this regime by any means before any New War starts or New Nuclear Radiation Dsiaster like Lavizan or another new disaster created again By Mafia Mad Mullahs and their supporters. 2)No lesson learned by Mad Mullahs from the death toll of the Chernobyl nuclear disaster 20 years ago . Based on research by the National Academy of Sciences of Belarus , the report said that of the 2 billion people globally affected by the Chernobyl fallout, 270,000 will develop cancers as a result, of which 93,000 will prove fatal. 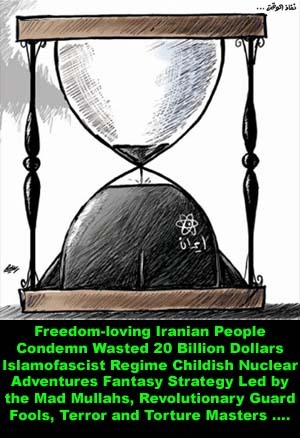 6) Islamofascist Mad Mullahs and Revolutionary Guards Fools Wasted 20 Billion Dollars For Childish Nuclear Adventures Fantasy and Planning For Another Crisis to Survive ...... Creating another disaster for Iranian people�. How Can the Iranian people SAVE and FREE IRAN? What is The Best and Last FREE IRAN Strategy for Iranian people before another big disaster? Are the Iranian people waiting for another British Government (Iraq *10) mess for them and Middle East? To avoid War or Nuclear war or another Chernobyl nuclear disaster 20 years ago , the message to Iranian people inside Iran must be very clear , truthful, and prepare them for maximum sacrifice to change this Islamist Mafia Cancer Tumor mess : General Strike , find a way to release all your political prisoners by any means, try your best to fight for your freedom by any means, don't wait for others to tell you what to do ..... organize in small groups of 3 to 5 youth for actions to create maximum pain for the regime where they are weakest ..... and the message to Security Forces (Police, Pasdaran and Military) who are against the Islamist invaders and occupiers of Iran must act now for regime change and replacing it with Free society and Secular Democracy. The Iranian people have already spoken by boycotting Elections and can not live in peace with cancer. The Armed forces must choose between defending and serving the people or serving Mullahs. This is up to armed and security forces to choose between SHAME and HONOR, serving Mullahs or their Sisters, Brothers, Fathers & Mothers who pay their salary. If the Iranian people can not change this regime by themselves without any help from outside, the War most probably will happen and the outcome of War might be very ugly and unpredictable (Iraq * 10) based on the options US officials might use . 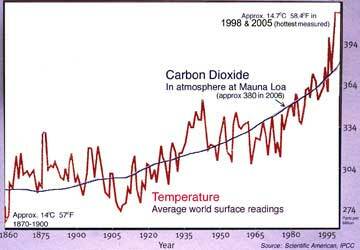 Why and How did we get here with Global Warming, State of Denial and Islamist Terror Mess? The perspective we get on Earth, our planet appears to be big and sturdy with an endless ocean of air. From space, astronauts often get the impression that the Earth is small with a thin, fragile layer of atmosphere. For a space traveler, the distinguishing Earth features are the blue waters, brown and green land masses and white clouds set against a black background. We should love and respect our small beautiful mother earth planet. Many dream of traveling in space and viewing the wonders of the universe. In reality all of us are space travelers. Our spaceship is the planet Earth, traveling at the speed of 108,000 kilometers (67,000 miles) an hour. In order to control unlimited human greed and power in this century we must educate ourselves that as long as men can not create self sufficient spaceship like earth we must be wise how we use the earth resources and men is not the only owner of this spaceship. Almost 6 decades of cheap petroleum have had devastating effects on both the demand and the supply side of the world's energy balance. The great conservation efforts, originally launched in the aftermath of the 1973 Arab oil embargo and the resulting explosion in oil prices, have been abandoned. By 1975 even Americans, with their passion for large cars, were buying mostly so-called compacts with four-cylinder engines, and the smallest cars on the market were the ones most in demand. We have to wonder what future generations are going to say about us if we can not stop this stupidity of careless free world politicians who are directly responsible for Global Warming of No Point of Return , this madness of our generation will get the blame for letting it happen. The Free World governments wrong greedy corrupt energy policies, our Cars, our City Planning , our Home Buildings, our office Buildings � are all based on cheap oil and energy with endless supply of energy without considering any side effects and consequences. * 1 Rank of 2005 as hottest year on record (tied with 1998), according to NASA. * 100% Increase in intensity and duration of hurricanes and tropical storms since the 1970's, according to a 2005 MIT study. * $100 Billion Estimate of damage caused by hurricanes hitting the U.S. coast in 2005 alone, according to the National Climatic Data Center. * 2030 Year by which Glacier National Park will have no glaciers left, according to the U.S. Geological Survey predictions. * 400,000 Square miles of Arctic sea ice that have melted in the last 30 years (roughly the size of Texas), threatening polar bear habitats and further accelerating global warming worldwide, according to the Arctic Climate Impact Assessment. * 15-37% Amount of plant and animal species that global warming could wipe out by 2050. Video Clip Global Warming: Point of No Return? Why and How did we get here with Global Warming and Islamist Mess? The West could not continue to increase its energy use 5% annually, pay low oil prices, yet sell inflation-priced goods to the petroleum producers in the Third World. This was stressed by the Shah of Iran, whose nation was the world's second-largest exporter of oil and the closest ally of the United States in the Middle East at the time. 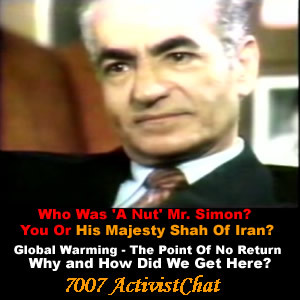 "Of course [the world price of oil] is going to rise," the Shah told the New York Times in 1973. "Certainly! And how...; You [Western nations] increased the price of wheat you sell us by 300%, and the same for sugar and cement...; You buy our crude oil and sell it back to us, redefined as petrochemicals, at a hundred times the price you've paid to us...; It's only fair that, from now on, you should pay more for oil. Let's say ten times more." 4- Have a primary effect to increase freedom at global level. 5- Have the element of War Of Ideas to expand public awareness, education and expansion of truth. 7- Applying the U.S.A. Supreme Court accepted "Lemon test," to foreign policy decisions, strategy and conduct. According to the "Lemon test," in order to be constitutional, a law or public act must: a) Have a secular purpose. b) Have a primary effect that neither advances nor inhibits religion. c) Not result in excessive governmental entanglement with religion. 8- Move towards better unified global fair Justice System. Over 2500 years ago The Ethical Persian Empire created by Cyrus The Great with the simple philosophy of Good Words, Good Thoughts and Good Deeds based on Human Rights and in past 30 years G8 countries policy towards Iran, Iraq and Afghanistan and others was based on Bad Words, Bad Thoughts, Bad Deeds, Extreme Greed , Ignored Human Rights, Not Support Secular Democracy Bribe and Support Islamic Fascist Occupiers Of Iran for Cheap Oil , exploitation of their resources and selling Arms for short term profit�..
Shah Of Iran like all other leaders of world is not without mistakes and one of his mistake was accepting wrong advise from both US and UK leaders not to give political freedom to Iranian people while allowing the Mullahs and Islamists to operate freely for wrong westeren fear factor from communism buble �. Are They Hearing Us After 30 Years or they are in state of denial? BAKU (Reuters) - Moscow has delayed the start-up of Iran's first nuclear power station to 2008 because Tehran has fallen behind with payments for the Bushehr plant, a top Russian official said on Thursday. The timing of the plant's start-up is significant as it is viewed by Israel and the United States as an important element in a nuclear drive which they suspect is a front for developing nuclear weapons. Iran says the program is entirely peaceful. Russia has repeatedly delayed the plant which under the latest schedule was due to be started up in September 2007. A Russian sub-contractor said on Wednesday the plant, in southwest Iran, had no chance of being launched before autumn 2008. Russian Deputy Foreign Minister Sergei Kislyak said in Baku that Tehran was still behind in payments for the plant and that the delay was not political. "It will clearly not be possible to start-up the atomic station this year so it will be moved to the next year," Kislyak told reporters, citing the payment problems. "We are fully determined to take Bushehr to its logical conclusion and launch the atomic power station," he said. The Itar-Tass news agency earlier reported Kislyak had said Bushehr would be inaugurated in early 2008. Moscow says there is no evidence that Tehran has the capability to make nuclear weapons, but ties have been strained by what Russian officials say are millions of dollars in missed payments for the station. Iranian officials say they have made the proper payments and that Moscow is delaying due to pressure from the West. Kislyak said payment delays had forced Russian firms to work on credit although he declined to say how much Iran owed Russian companies for the station. Iran should pay Russian firms about $25 million a month for the $1 billion, 1-GW plant, the first of what Iran has said will be a network of reactors generating 20-GW of electricity. Russian nuclear officials say that nuclear fuel would have to be sent to Bushehr, a project initiated by Iran in the 1970s, at least six months before the reactors start. Russia has traditionally been seen as Tehran's closest big-power ally but the delays to Bushehr have chilled relations. Analysts have speculated that Moscow could be tweaking its policy towards Tehran or that the Kremlin is using Bushehr as a bargaining chip in a wider diplomatic game. Welcome the delay by Russian officials, they should stop shipping arms to Mafia Islamist Invaders and Occupiers of Iran, and support complete UN sanctions if they wish to have good relation with Iranian people and future FREE Iran elected officials. An earthquake measuring 3.7 on the Richter scale jolted suburbs of the city of Kerman, southeast Iran, early Sunday morning. According to the seismological base of the Geophysics Institute of Tehran University, the quake was registered at 01:13 hours local time (2143 GMT Saturday night). The quake was epicentered in an area measuring 57.19 degrees in longitude and 30.49 degrees in latitude, the report added. There are no reports of any casualty or damage to property caused by the quake. Iran is often hit by quakes of varying magnitudes as it sits on some of the world's most active seismic fault lines. Tehran, Iran, Jul. 29 � An earthquake measuring 4.6 on the Richter scale jolted the central Iranian province of Yazd on Sunday, state media reported. The quake struck at approximately 18:37 in the town of Behabad, the government-owned news agency Fars said. No structural damages or casualties were reported. VIENNA, Austria - Russia is increasing pressure on Iran to be more open about its nuclear program, threatening to indefinitely withhold fuel for a Russian-built reactor unless Tehran lifts secrecy shrouding past nuclear activities, diplomats said Tuesday. Russia warned in March that it would not provide fuel rods for the reactor it is building in the southern city of Bushehr as long as Iran ignored U.N. Security Council demands that it freeze uranium enrichment, diplomats said. Now, Moscow has modified that demand, saying no fuel will be provided unless Iran meets another key international request � that it fully explain past activities that heightened suspicions it might be looking to develop a nuclear arms program, two diplomats familiar with Iran's nuclear file told The Associated Press. First positive step by Russia after 4 years of playing EU useless game with Islamist Mafia Occupiers Of Iran. Deformed woman: "If only there had been no bombs, I could have been equal"
Editor's note: In our Behind the Scenes series, CNN correspondents share their experiences in covering news and analyze the stories behind the events. CNN's Matthew Chance was given rare access to Kazakh villages where above-ground nuclear tests have left generations scarred. Here, he describes what he saw for CNN.com. SEMEY, Kazakhstan (CNN) -- Kazakhstan's nuclear orphans are a distressing sight. This young child slept at an orphanage, his deformities the result of nuclear testing in the region. 1 of 3 The first child I met in the local orphanage was lying limply in his crib. His giant, pale head was perched on his tiny shoulders, covered in bed sores, like a grotesquely painted paper-m�ch� mask. Peering out, a pair of tiny black eyes darted around. It took me a few seconds to understand what I was seeing. The doctor told me he was 4 years old. Through the bars in the next crib, I saw another child, twisted with deformities. His fragile legs and arms turned in impossible contortions. These are the children of Kazakhstan's terrifying nuclear past. The testing began in 1949 at a site known as Polygon and continued until 1989. According to the Nuclear Threat Initiative, there were 456 tests, including 116 nuclear bombs tested above ground. The Polygon site officially closed on August 29, 1991 -- 16 years ago this week. From the old Soviet city of Semipalatinsk, now renamed Semey, it was a long grueling drive across the barren, flat Kazakh plain. Nature can be hostile here, with temperatures hitting over 100 degrees Fahrenheit in summer, then plunging to 40 below in winter. The people living in the villages scattered throughout this former nuclear testing zone have been through the unspeakable. Seriqkaisha is 62 years old. She remembers watching the mushroom clouds as a child. "We were very frightened," she told me, "because the windows in our house would blow out and the walls would shake. My parents both died of cancer, and my own son is handicapped." Meeting people was proving hard. The genetic defections and illnesses that afflict so many here are frequently a source of shame. The doctor told me that people hide their deformed family members from outsiders. For decades, they have felt like animals in a zoo, she said, and had grown to distrust prying eyes. The region also has one of the highest suicide rates in the world, according to local health officials. Tragically, many young men who discover they are impotent -- one of the effects of nuclear fallout -- end their own lives. A doctor introduced me to Biken -- one of the few residents who agreed to be interviewed. She was born in 1951, two years after the nuclear testing began. Her facial disfigurement, she said, has always brought her despair. "If only there had been no bombs, I could have been equal to every one else. My youngest daughter looks like me too. I worry about her future, more than anything," Biken said. It was heartbreaking to hear. The problem of defects is so big, there's even a museum of mutations at the regional medical institute back in Semey, the largest city near the old nuclear testing site. It's a small room filled with jars containing deformed fetuses and human organs preserved in formaldehyde. It's hard to look at them -- babies with bulging eyes and malformed brains, or conjoined twins locked in a contorted embrace. The head of the institute, Tolebae Rakhipbekov, showed me around and told me how this house was more than just a grim collection of anomalies. It was the reality for some parents, and a real fear for everyone who lives here. "You could call these children, and others affected, victims of the Cold War. Kazakhstan has refused nuclear ambitions now because it experienced 40 years of this war. Nowhere else were there so many nuclear tests," Rakhhipbekov said. "20 years ago: Chernobyl" is a fast moving short film - like a music video - about the Chernobyl disaster and Greenpeace anti-nuke campaign. Film by Christoph Schwaiger. 3D animation by Tanooki. Archive material by Penninger archive. Music by Yap music. Production by Yap films. Visit the Greenpeace website for more information or to sign the "No More Chernobyls" petition. i put Huns & Dr. Beeker's song, and video footage from elenafilatova.com together, and produced this short film about Pripyat, the small ... all � city in the shadows of the Chernobyl Nuclear facility. On April 26, 1986, the unthinkable happened! Can You See Or Are You Blind ....? The Pripyat Ferris Wheel, as seen from the Palace of Culture. Pripyat (Ukrainian: При́п'ять, Prip�jat�; Russian: При́пять, Pripjat; 51�24′20″N, 30�03′25″E) is an abandoned city in the Zone of alienation in northern Ukraine, Kiev Oblast, near the border with Belarus. 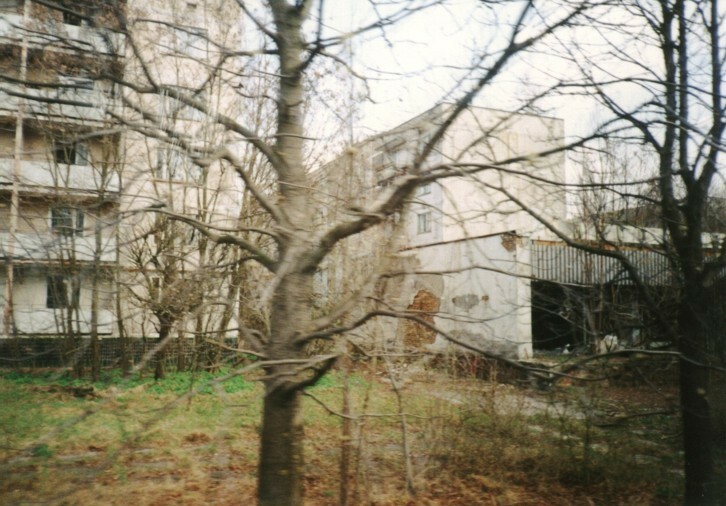 It was home to the Chernobyl Nuclear Power Plant workers. The city was abandoned in 1986 following the Chernobyl disaster. Its population had been around 50,000. View of the Chernobyl power plant from PripyatUnlike cities of military importance, access to Pripyat was not restricted prior to the disaster. Before the Chernobyl accident, nuclear power stations were seen by the Soviets as safe as any other type of power plant. Nuclear power stations were presented as being an achievement of Soviet engineering, where nuclear power was harnessed for peaceful projects. The slogan "peaceful atom" (Russian: мирный атом, mirny atom) was popular during those times. Initially the plant was intended to be built only 25 km from Kiev, but the Ukrainian Academy of Sciences, among other bodies, expressed concern about the station being too close to the city, and so the station, together with Prypiat, were built in their current location � about 100 km from Kiev. Until recently, the site was practically a museum, documenting the late Soviet era. Apartment buildings (four of which were recent constructions not yet occupied), swimming pools, hospitals and other buildings were all abandoned, and everything inside the buildings were left behind, including records, papers, TVs, children's toys, and clothing, etc. Residents were only allowed to take away a suitcase full of documents, books and clothes that were not contaminated. The Pripyat Ferris Wheel, as seen from the Palace of Culture.However, the apartment buildings were almost completely looted some time around the beginning of the 21st century. Nothing of value was left behind; even toilet seats were taken away. Some buildings have remained untouched. Many of the building interiors have been vandalized and ransacked over the years. Because the buildings are not maintained, the roofs leak, and in spring the rooms are flooded with water. It is not unusual to find trees growing on roofs and even inside buildings. This hastens deterioration, and due to this, the first building in the city, a 4-story school, partially collapsed in July 2005. In a few decades the city will most likely lie in ruins. Pripyat and the surrounding area will not be safe for human habitation for several centuries to come. The most troublesome radioactive isotope (caesium-137) released by the accident (external gamma exposure has a short biological halflife in humans) will take 300 years to decay to one thousandth of its present level. The strontium-90 will decay over a similar time. Strontium is a beta emitter with a long biological halflife in humans, which can cause disease through internal exposure. After the caesium activity has decayed to this level, the area may be used for most human activities again. The graph below shows that caesium is responsible for almost the entire gamma dose rate due to the accident experienced in Prypiat. This has not prevented wildlife from entering the area; wild animal populations are actually quite large in the exclusion zone, capitalizing on the lack of human occupation. Statistics are not yet widely available to indicate changes in animal reproductive cycles nor mortality rates. About This Video This is one of the best clips about the Chernob... This is one of the best clips about the Chernobyl nuclear reactor facilty online. You will see the devastation that this power station inflicted back in April 1986. You will see inside the power plant today and the very control panel that has made Chernobyl the uninhabital wasteland that it is today. We are deeply concerned about consequences of various accidents within any of the Islamic regime's nuclear facilities. Even without any accidents, we doubt it if the regime has imposed enough safeguards for radiation workers or people living around nuclear facilities. The reason is that based on the research done on conferences and papers written in the fields of Probabilistic Risk Assessment (PRA) and nuclear safety in Iran, very few papers have addressed these subjects. Even those papers that addressed the subject of nuclear safety seemed to have addressed a specific issue rather than covering all aspects of nuclear safety or PRA. For example, one paper addressed the consequences of LOCA (Loss of Coolant Accidents) at Bushehr-1 NPP. However, there were no indications of studies for accidents scenarios initiated by external events, internal non-nuclear related explosions resulting in radiological contamination, Loss of Offsite Power (and Station Blackout), ATWS (Anticipated Transient without Scram) or secondary system failures, etc. We are gravely concerned about the regimes programs for implementation and execution of ALARA (As Low As Reasonably Achievable) in various nuclear facilities. The Islamic Republic regime has demonstrated no respect for human life especially Iranian life, Iranian natural resources or environment during the past 28 years. Last year the regime cut down ~10,000 trees around Lavizan facilities. Reports out of Iran indicated that the entire area was severely contaminated and the regime had to cut down trees and remove topsoil in order to hide this leak from the IAEA. In addition, great majority (if not all) of the equipment, from centrifuges to valves, pumps, etc. are purchased from Pakistan, India, China, N. Korea and at best from Russia. All these countries especially Russians are notorious with unreliable, high maintenance equipment (examples: refer to the recent problems with the Russian side of International Space Station, or low reliability of Chinese and Korean missiles, etc.). With the Islamic Republic regime's track record on maintaining Iranian passenger planes, these nuclear facilities are ticking time bombs. We therefore demand that all the Islamic Republic�s nuclear activities (commercial or government related) be stopped immediately, until such time that the regime can prove and demonstrate that enough safety measures have been developed and implemented into the design, operation and maintenance of all nuclear facilities throughout Iran. Further the Islamic regime should demonstrate that contingency plans including mitigation of consequences of catastrophic initiating events (such as seismic events), evacuation and recovery measures are established and ready to be implemented. Aside from the political agenda, the IAEA has a moral and humanitarian responsibility to regulate requirements and oversee activities that will assure health and welfare of the workers and citizens around nuclear facilities. We therefore challenge the IAEA to provide detail safety inspection on all Iranian nuclear facilities and publish quarterly progress reports. Comments: IAEA shall specifically mandate and monitor at a minimum (but not limited to) the following activities: 1. Occupational exposure not to exceed 5 rems per year, 2. Public exposure not to exceed 0.5 rem per person per year, 3.level of contamination due to high/low level waste into ground water as well as surface water (e.g., streams and lakes, etc.) due to evaoration ponds and dump pits within the nuclear facilities, 4. Monitoring level of airborne radioactivity emitted from the nuclear facilities, 5. Mandating Radilogical Work Practices (RWP) and Site Access Training (SAT) for all workers within the nuclear facilities, 6. Monitoring packaging, handling and disposal of high/low level solid and liquid waste (including TRU waste that may be generated in experimental facilities), 7. Review and assess feasability of Safe Shutdown Earthquake (SSE), Design Basis Earthquake (DBE) and Operating Basis Earthquake (OBE) for Bushehr-1 as well as all other facilities that are involved with reactor criticality . Profession: Principal Nuclear Engineer and a Technical Fellow. My expertise is in terrestrial and space nuclear power systems safety and probabilistic risk assessment. Actions and Contributions: As Principal Nuclear Engineer with over 25 years experience in USA roughly 35 to 40 hours was spent planning, researching, modifying and communicating. This petition is written from ~50 pages bibliography of Documents/Reports, Thesis subjects, Conference papers, and Journal articles composed of roughly 600 subjects, about 100 of which in the areas of radiation protection, shielding, dosimetry, health physics and safety. Comments: I definitely agree with the text of the petition. But I think that Mr. ELBaradei & the (IAEA) U.N. Atomic Energy watch dog has to be emphatically asked to press the IRI for observing the safety of their work. They only keep saying that IRI is too far away from making the BOMB. But what about the safety today? No body indicates or says any thing. We have to push this ELBaradei into corner to reply to the question of safety as well. Actions and Contributions: Reviewer and planning to inform colleague and my private Email list regarding this petition. 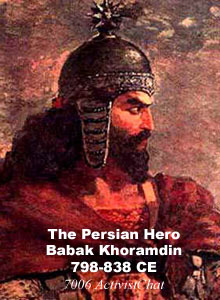 Actions and Contributions: Planning to promote this petition http://iranzamin2529.blogspot.com . Name: 4. Ramin Etebar M.D. Actions and Contributions: Planning to promote this petition via my Email list . ActivistChat thanks all compatriots and organizations who contributed for promoting this petition .